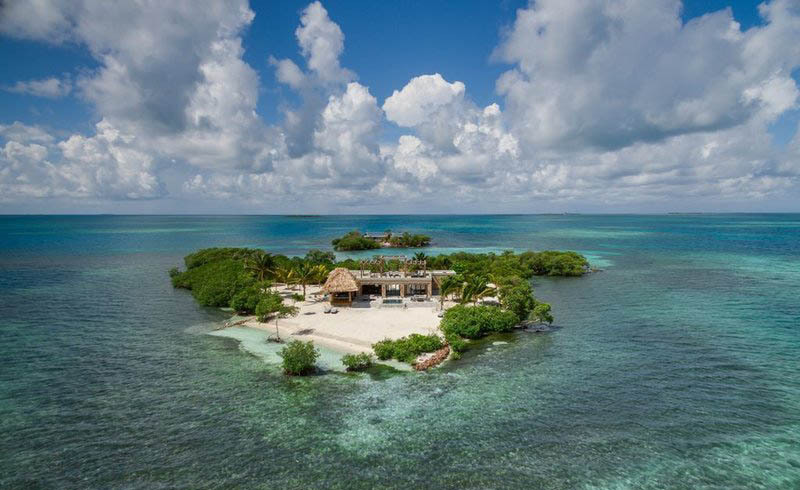 Talk about the ultimate romantic getaway: This ultra-secluded speck of land is built for two with all of the amenities of a luxury resort. 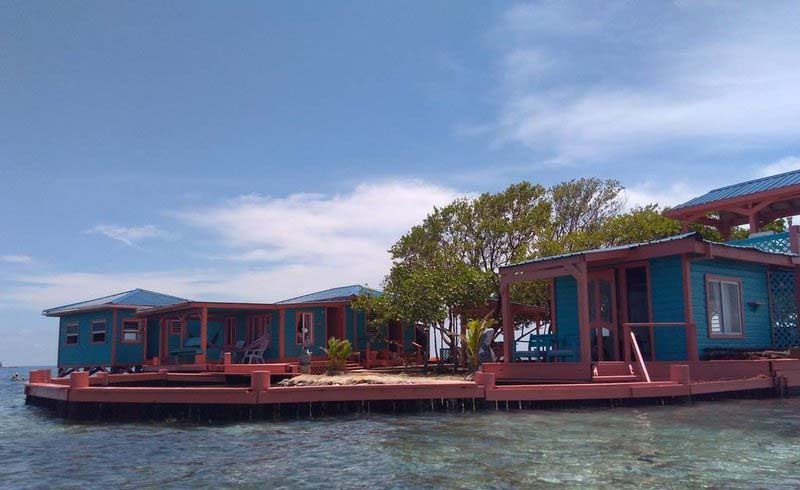 Situated in the Belize Barrier Reef System, Gladden Island is surrounded by sweeping views of aqua seas and perched on the edge of one of the most picturesque parts of the reef. Spend your days exploring the wildest parts of the waters on dive and snorkeling trips. Back at home, your personal concierge can schedule spa treatments and local meals prepared by celebrated guest chefs. Rates from $3,073 per night. 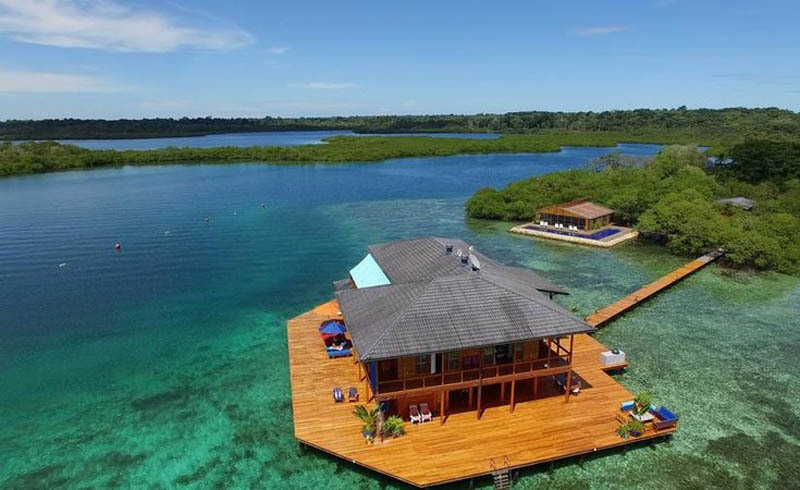 Venture over to the Caribbean side of Central America and you’ll find this heavenly escape—a 15-acre, fully staffed island set in the wild and breathtaking Bocas Del Toro archipelago. Sweet Bocas is the dreamiest luxury all-inclusive vacation for those that don’t like to plan but want an experience that’s one of a kind. Included with the island’s accommodations—a seven-bedroom villa plus two bamboo glamping huts—are all chef-made meals and activities, from exploring the coastline aboard your own 30-foot yacht to learning to surf with a seasoned pro. There’s also an opportunity to give back: During your stay, volunteer with the local Give and Surf Foundation, which provides educational opportunities to local indigenous and Panamanian children. Weekly rates start at $80,500, including accommodations, three meals plus snacks per day, wine, beer, and most activities. Who hasn’t dreamt of owning their own slice of paradise within the Bahamas’ quiet and exclusive Exumas island chain? With this charming rental, you can take your dreams for a test drive. 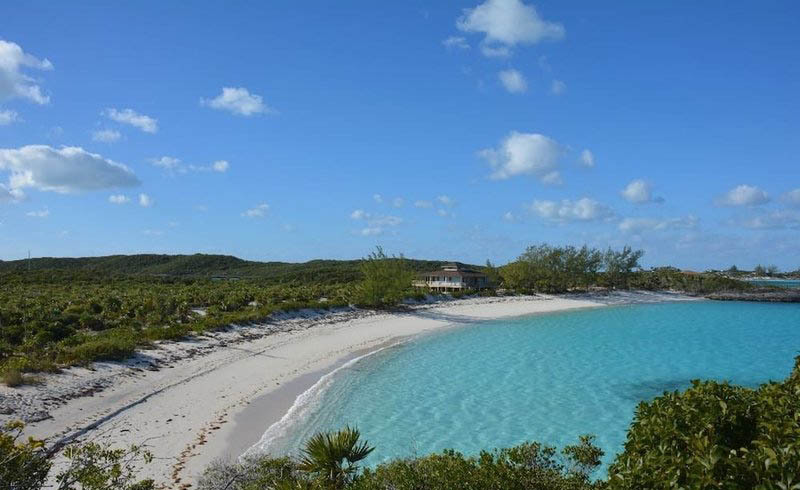 Little Majors Spot is a private cay in the central Exumas with four separate beaches, hiking trails, and a cozy four-bedroom villa. With no staff (though a caretaker resides at the other end of the island), vacations here are enjoyed in complete seclusion, with home-cooked meals eaten alfresco and loads of outdoor space for curling up with a book. Rates from $2,500 per night. An idyllic location coupled with a Caribbean-chic villa that looks straight out of a magazine? 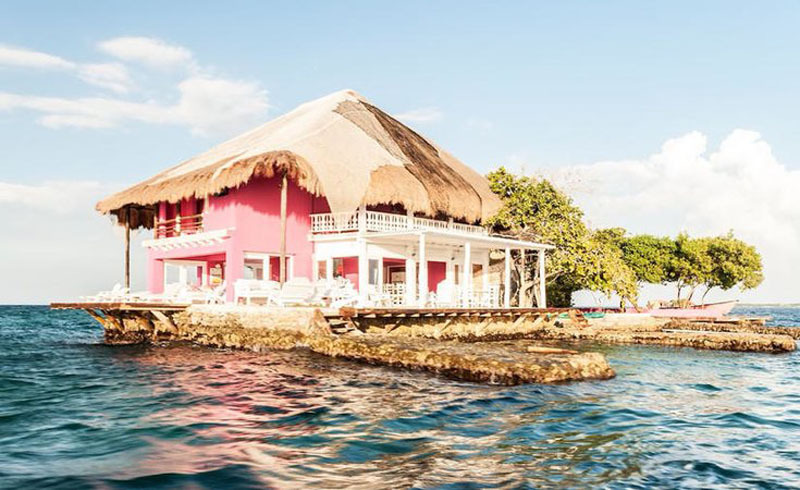 That’s the deal with Isla Rosa, a tiny island off the coast of Cartagena with a pretty-in-pink, open-air pad, a private beach, and private boat access. The darling villa accommodates up to 16 guests and includes plenty of alfresco seating for lounging and dining. 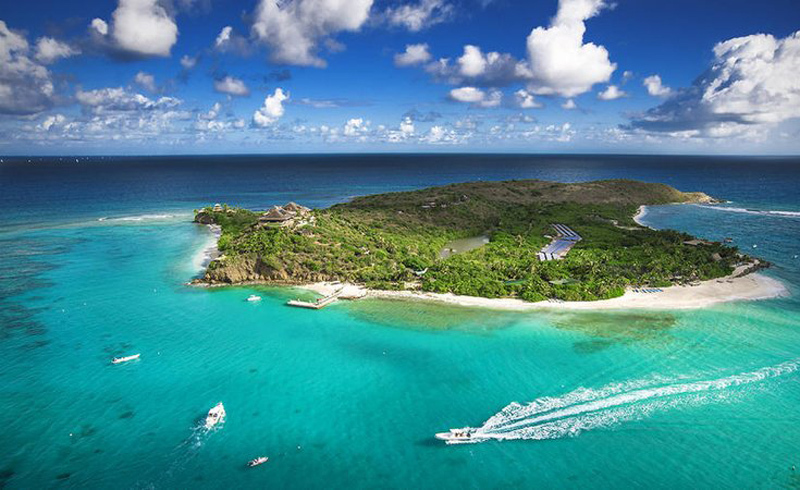 And at this luxe escape, that’s all you’re expected to do—when you book this island, it comes with a full staff, including a private chef, boat pilot, housekeeper, waiter, and butler. Rates from $1,099 per night. Take it from the multitude of five star reviews gifted to Bird Island and “stop what you’re doing and book it.” Perched six miles off the mainland of Belize, this charming little atoll is for vacationers looking for a “Robinson Crusoe type of adventure.” With zero staff, guests are free to spend their days in solitude, basking in their own little paradise or venturing out on a kayak for some sightseeing, snorkeling, or fishing. The island sleeps up to six people in three separate cabanas, making it the perfect, surprisingly affordable getaway for a friend group. Rates from $495 per night. While private island vacays might seem like they’re reserved for the ultra-wealthy, that’s not always the case. 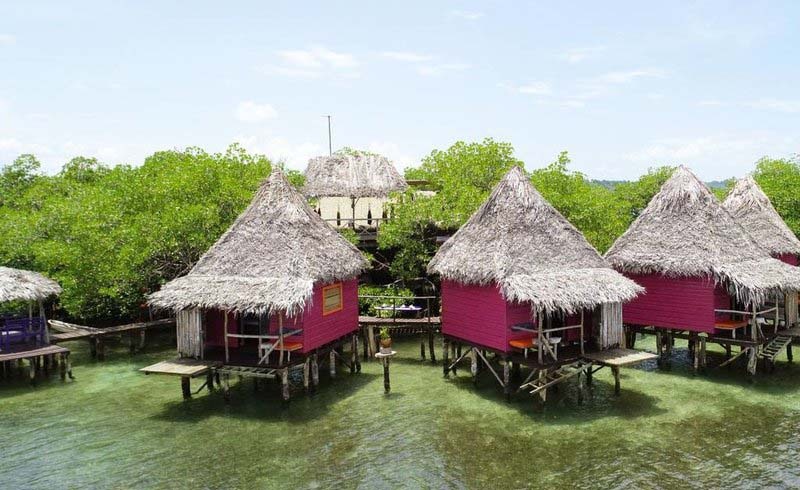 At this Bocas Del Toro mangrove island paradise, you—and all your friends—can escape in overwater bungalows for less than $200 a night (total!). The island is a true getaway, surrounded by nature (you’ll share the island with adorable monkeys) and the pristine water. Included with the island are four overwater bungalows with outdoor showers, a family bungalow which sleeps six, a dining area, natural swimming pool, and two kayaks for exploring the surrounding atolls. Rates from $195 per night. 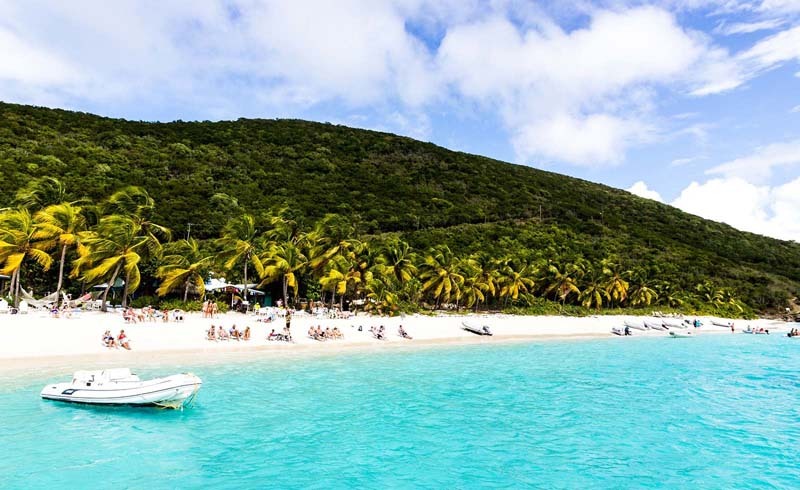 Richard Branson’s famous Caribbean island is newly reopened post-hurricanes and as gorgeous as ever. The private resort is the ultimate in luxury, with an 11-bedroom Balinese-style house, two communal beach houses for dining and lounging, a pool, and beachfront Jacuzzi with space for more than 30 people. 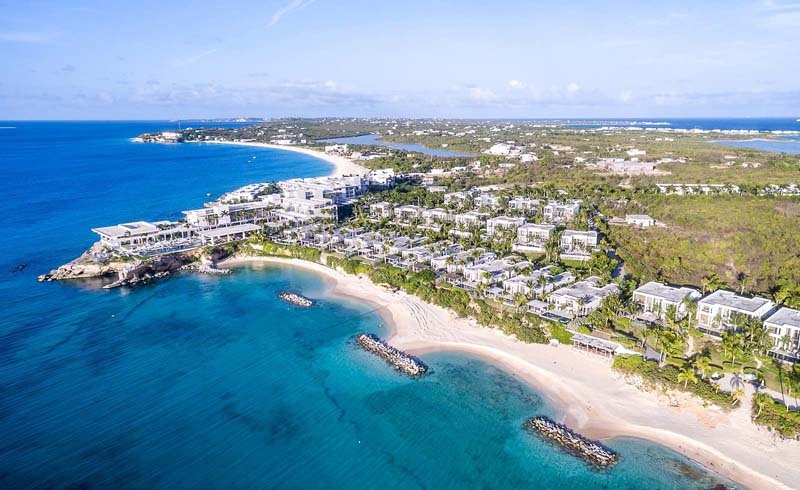 The all-inclusive getaway provides the dreamiest backdrop to host your most special events with up to 24 people; however, those traveling simply as a couple can also indulge in this idyllic island escape during “Celebration Weeks,” when rooms are available for solo bookings. Rates from $62,500 per night for up to 24 guests.